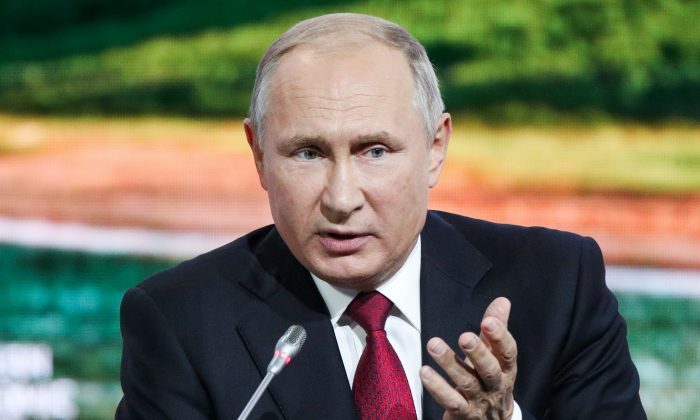 MOSCOW—President Vladimir Putin says that Russia has identified the two men that Britain is seeking as suspects in the poisoning of a former Russian spy, and he insists that they are civilians. Britain last week charged the two Russians they allege are military intelligence agents in absentia with the Novichok poisoning of former Russian spy Sergei Skripal and his daughter, Yulia. Britain blames the Russian government for the attack, a claim that Moscow has vehemently denied. Speaking on Sept. 12 at a panel of an economic conference in Russia’s far eastern city of Vladivostok, Putin insisted the two men don’t work for the military. 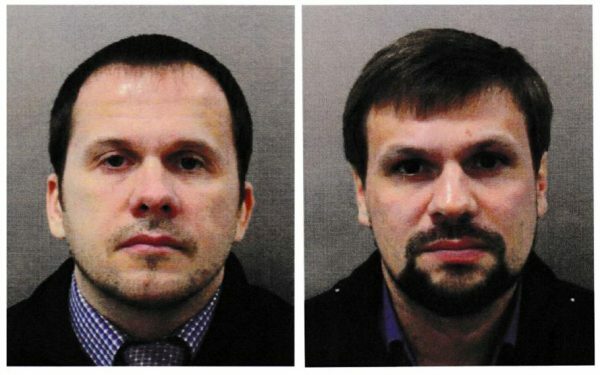 British authorities said the two men, who they identified as Alexander Petrov and Ruslan Boshirov, had been operating under aliases. “Neither Russia’s top leadership nor those with lower ranks, and [Russian] officials, have had anything to do with the events in Salisbury,” Putin said at that time. Additional reporting by Epoch Times staff.